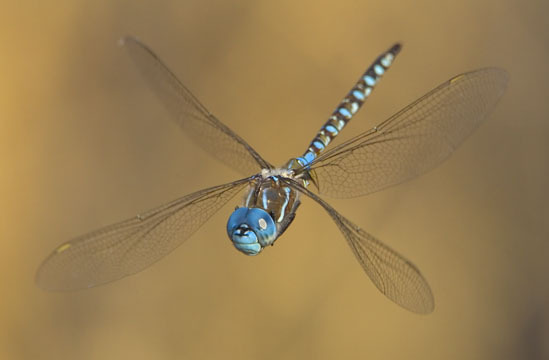 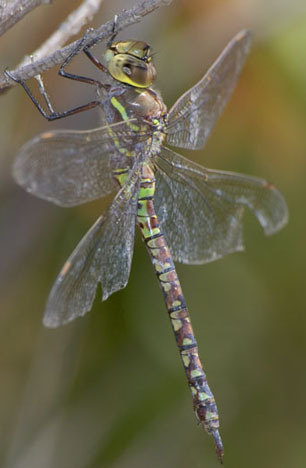 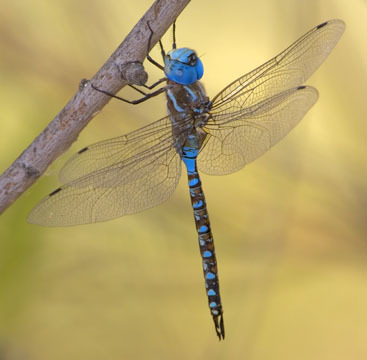 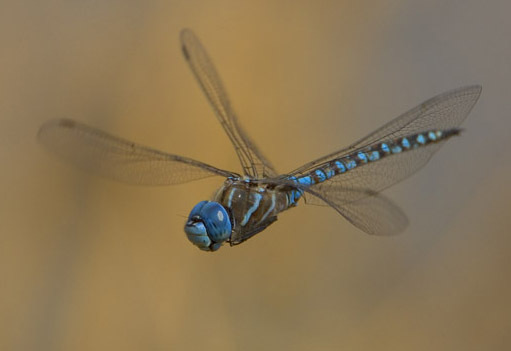 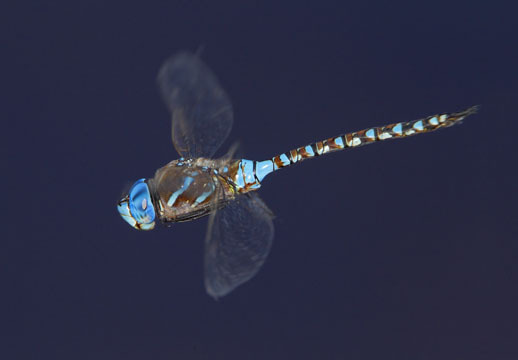 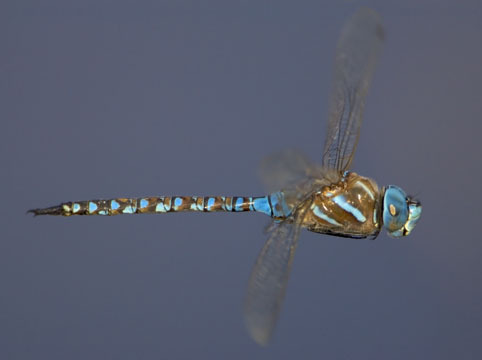 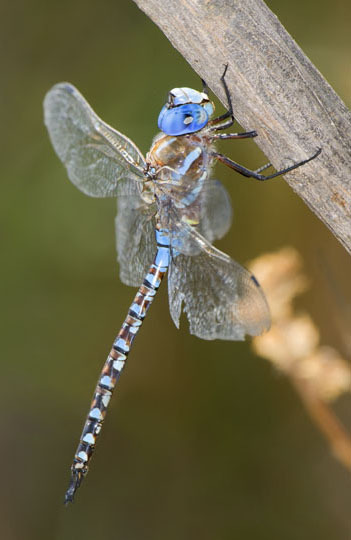 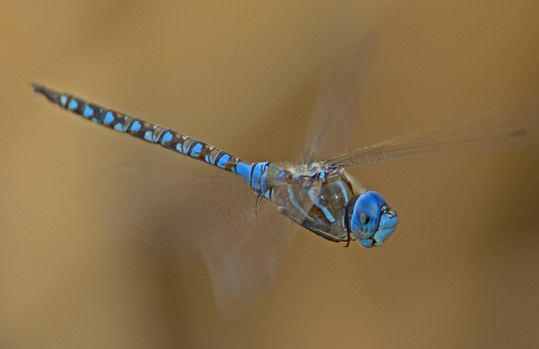 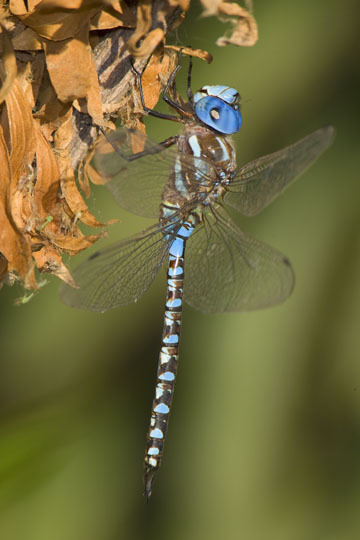 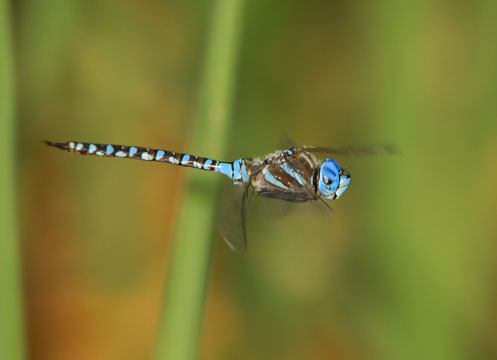 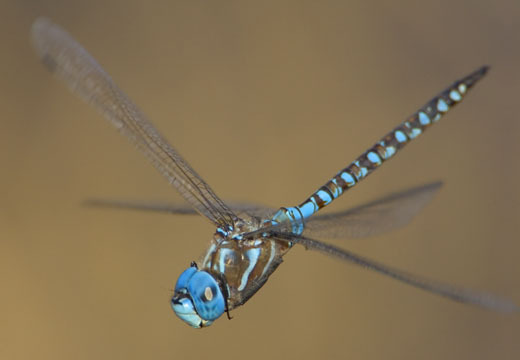 Aeshnids, like these blue-eyed darners (relatives of the equally lovely common green darner , are extremely specialized for nearly continuous flight, and spend hours at a time on the wing. 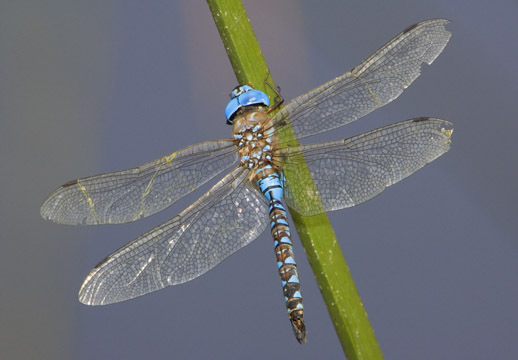 The blue males patrol territories around standing water, watching for the greenish females and for prey. 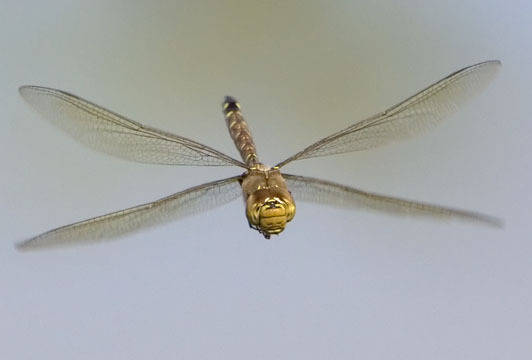 Occasionally they will hover in one spot and I was able to get images of several patrolling males in early October, at the San Jacinto Wildlife Area near Riverside, California (modern autofocus equipment can work wonders -- these males were hovering but nevertheless were in constant motion). 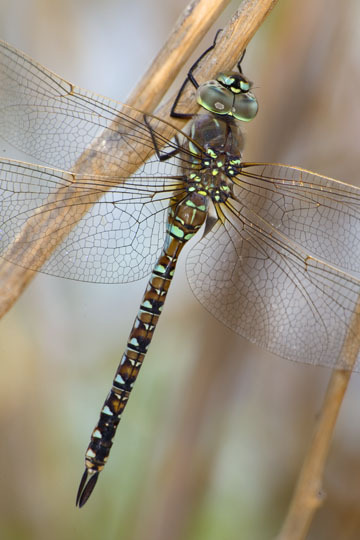 More images of hovering males are on this page. 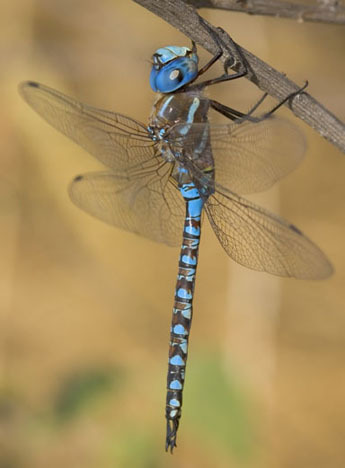 All dragonflies have amazing multifaceted eyes, but the sky-blue eyes of males of this species are more spectacular than most (as emphasized in the views below). 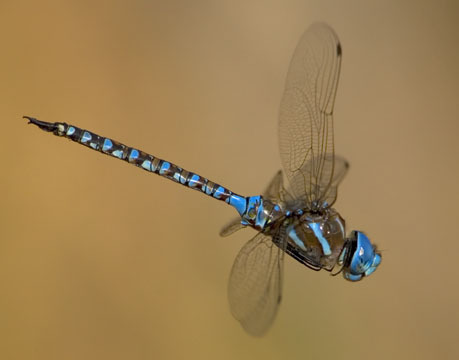 At the bottom of the page are some resting individuals (an unusual sight as these insects fly for most of the daylight hours). 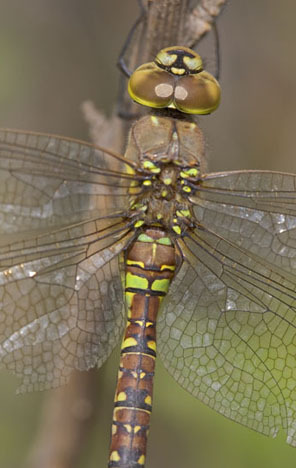 Some are somewhat tattered with age and wear. 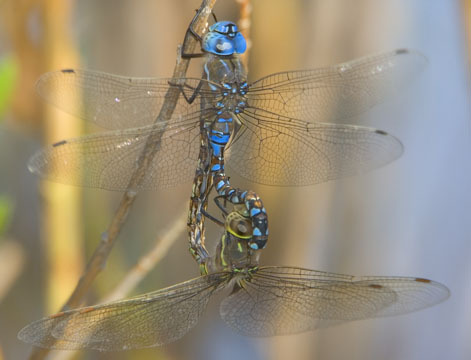 Occasionally one can find cooperative individuals that allow extreme close-ups, as in some of the images on this page.